NEW YORK (Nov 30): Oil traders piled into bullish option contracts in U.S. crude on Tuesday, even as doubt surfaced over whether the world's top producers would be successful in hammering out a deal to curb production. Brokers pointed to record volumes in call options that allow the holder to buy January futures at $60 per barrel, as a sign that some market participants were expecting a significant rally if members of the Organization of the Petroleum Exporting Countries (OPEC) agree on a deal. OPEC said in September it aimed to cut crude output to 32.5 million to 33 million barrels per day (bpd), down from a record 33.64 million bpd, to bolster prices. The terms of the deal are expected to be announced at Wednesday's policy meeting in Vienna. However, as of Tuesday, key OPEC members Iran and Iraq were still at loggerheads with top producer Saudi Arabia. That caused crude oil to fall as much as 4 percent as traders started to doubt a deal would get done. The most optimistic of analysts see oil hitting $60 a barrel with a significant deal; more bearish types say crude would not advance much past $50. Oil has not hit $60 since June of 2015, so trading in this contract may be optimistic. "I look at that as the proverbial lottery-ticket trade," said John Saucer, vice president of research and analytics at Mobius Risk Group in Houston. Turnover in the bullish option contract soared to over 60,000 lots on Tuesday, up from about 14,000 lots on Monday, according to Thomson Reuters data. 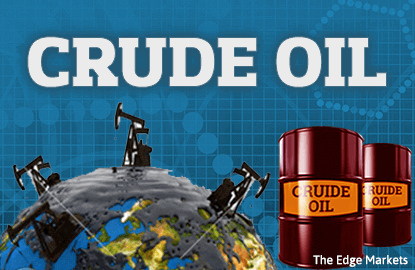 At 60,000 lots, more than $2.7 billion in notional terms of crude oil was traded on Tuesday. The value of these option contracts jumped to about 10 cents on Tuesday from six cents Monday. Saucer said the trading suggests expectations for a big post-OPEC rally - perhaps $5 to $7 a barrel - which would make those options increase in value, and therefore make the trade more profitable. Andrew Lebow, senior partner at Commodity Research Group in Darien, Connecticut, said that even if a deal was reached, it would only be a cut of about 600,000 to 700,000 barrels. "Iran and Iraq are the big question marks," he said.